The preferred choice for image quality and viewing comfort, HDF eyepieces have large diameter eye lenses and provide 'walk-in' field of vision. 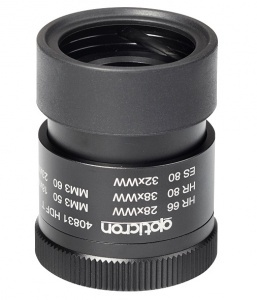 All eyepieces feature long eyerelief for full field of view with or without spectacles. This eyepiece has a twist-type eyecup.